University of Illinois Extension’s Illinois Junior Chefs program received the Nutrition Education Program Impact Award at the Society for Nutrition Education and Behavior’s annual conference on July 21, in Washington D.C. The Nutrition Education Program Impact Award is given to a nutrition education program, practice or intervention that has resulted in documented changes in behavior. Illinois Junior Chefs is a statewide, hands-on culinary and nutrition education program implemented by University of Illinois Extension’s Illinois Nutrition Education Programs and Illinois 4-H.
Each lesson focuses on a particular food group and is paired with a recipe that features new cooking skills. At the end of every lesson, participants get to taste the food they have prepared. For example, during the lesson about vegetables, students learn about the importance of vegetables, how to use a grater and peeler, and make recipes like colorful coleslaw and veggie quesadillas. 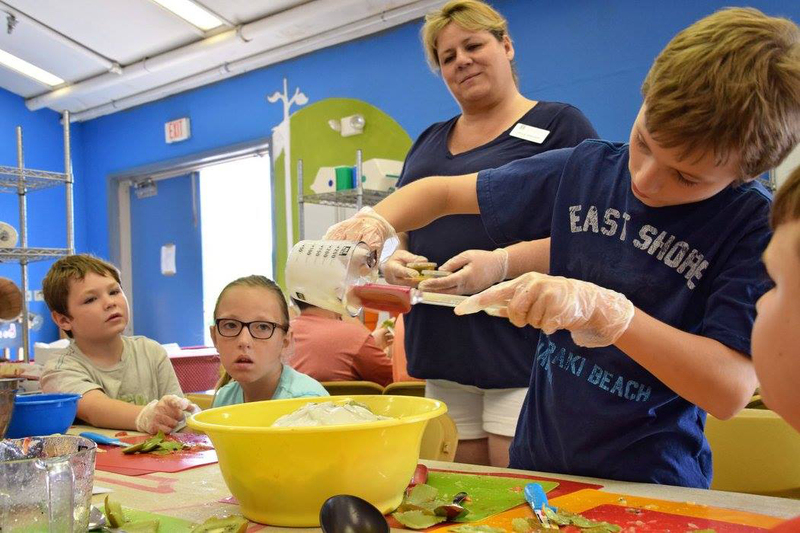 As a result of participating in Illinois Junior Chefs, Illinois children are improving their fruit and vegetable preferences and attitudes towards cooking. They feel more confident cooking in the kitchen and with choosing and eating healthier food choices. University of Illinois Extension is proud to continue to offer Illinois Junior Chefs to children in communities around Illinois. Incoming freshmen: Apply now for the Extension to ACES Scholarship!